On a remote stretch of the rugged coast of Ireland, folklorist and illustrator Keira Sullivan pursues the mysterious Irish legend of an ancient Celtic stone angel. 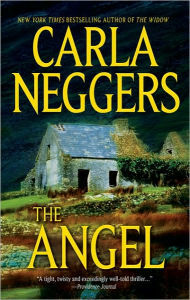 As she searches an isolated ruin, she’s certain she’s discovered the mythic angel, but before she can examine her find, she senses a malevolent presence…. Is someone in there with her? Then the ruin collapses, trapping her. Keira’s uncle, a Boston homicide detective, enlists the help of Simon Cahill to find his missing niece. Simon, an expert with Fast Rescue, a rapid-response search-and-rescue organization, is trying to keep a low profile after secretly assisting in the takedown of a major criminal network, but he rushes to Ireland, pulling Keira out of the rubble just as she’s about to free herself. Simon isn’t interested in myths or magic, nor is he surprised when Keira can’t find a trace of her stone angel. He doesn’t believe it exists. But the gruesome evidence of a startling act of violence convinces him that whatever she found in the ruin, the danger she faces is real. When the violence follows them to Boston—and escalates—Simon and Keira realize that the long-forgotten story that has captivated her has also aroused a killer…a calculating predator who will certainly kill again.